Craig is a Partner at Kilpatrick Townsend and Team Leader of the award-winning LitSmart® E-Discovery Team. Craig is a seasoned complex commercial litigator and a specialist in the areas of e-discovery, information governance, data privacy, cross-border data transfer and cyber-security. As Discovery Counsel to several of the world’s largest corporations, Craig combines his extensive litigation and e-discovery experience to help clients develop efficient and defensible legal strategies for discovery. Craig has authored dozens of articles and presented at numerous conferences regarding topics ranging from defensibly controlling e-discovery costs to the complexities of managing discovery in the EU. Craig previously served as Bank of America’s Global Discovery Counsel, where he was responsible for leading several of the world’s largest and most complex e-discovery, data privacy, cross-border data transfer, information governance and cyber-security projects. He also managed a team of litigation attorneys and paralegals that was responsible for handling material litigation matters. 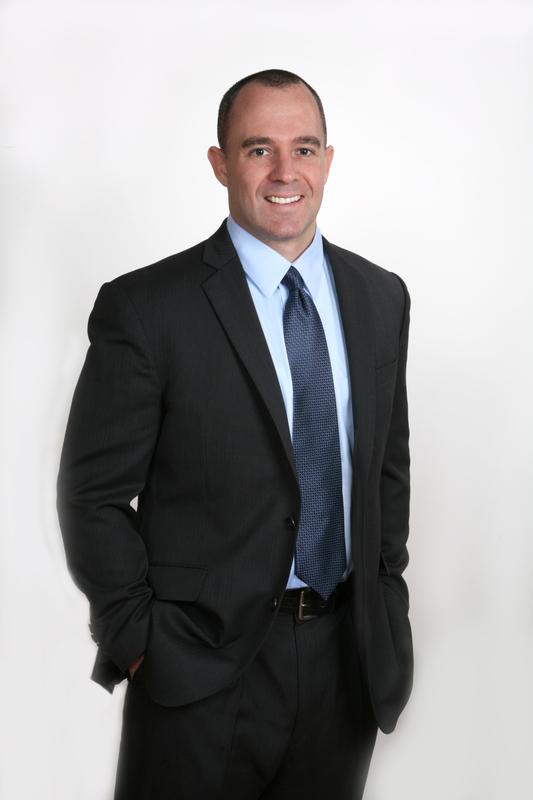 Professionally, Craig has been recognized as a North Carolina “Super Lawyer” in the area of e-discovery by Super Lawyers magazine (2014-2019), as one of North Carolina’s “Legal Elite” by Business North Carolina magazine, as a North Carolina “Impact Law Leader” by Business Leader magazine and as one of the Piedmont Triad’s “40 Leaders Under 40” by the Triad Business Journal. Craig is actively involved in pro bono, bar and community activities and currently serves as a member of Kilpatrick Townsend’s national Pro Bono Committee. He has also previously served in leadership roles within the American Bar Association (Director of the Disaster Legal Services Program and Member of the Presidentially appointed Hurricane Katrina Task Force), the North Carolina Bar Association (Chair of the Young Lawyers Division and Member of the Board of Governors) and the North Carolina State Bar (Member of the Legal Assistance for Military Personnel and Authorized Practice Committees). In recognition of his dedication to pro bono and community service, Craig has been named as a recipient of the American Bar Association’s national Pro Bono Publico and Star of the Year Awards, the North Carolina Bar Association’s Charles F. Blanchard Award and the Federal Emergency Management Agency’s national Distinguished Service Award. Currently serves as outside national discovery counsel for various firm clients (including numerous financial service clients). As national discovery counsel, provides strategic advice and guidance on all aspects of e-discovery, including litigation readiness/preparedness, data privacy, cross-border data transfer, technology assisted review, document review processes and procedures, data collection, data processing, data hosting, data production, vendor selection and evaluation, 26f agreements, 30b6 data and discovery related depositions, SARs, privilege screening, information governance strategies, defensible data deletion and data related books and records sections within M&A and divestiture agreements. Served as lead discovery counsel for a global retailer in U.S. and international intellectual property litigation matters that covered the retailer’s global intellectual property portfolio. As lead discovery counsel, assisted the retailer in identifying, preserving, collecting, processing and producing voluminous electronically stored data sets (including both unstructured and structured data sets) from jurisdictions throughout the world, including the EU, South America, China and India. Provided advice and guidance to the retailer about applicable cross-border data transfer and data privacy standards. In addition, managed multiple domestic and international vendor engagements and data review projects (including data review projects involving EU PII and the use of advanced analytics and the use of predictive coding). Further, worked with the retailer to handle all paper related discovery. Finally, successfully navigated expedited discovery schedules while obtaining favorable concessions and court rulings that significantly narrowed the scope of permissible discovery. Served or currently serving as lead discovery counsel for various Fortune 500 financial institutions, technology companies, specialty materials companies, and multinational conglomerates in complex DOJ and SEC investigation matters related to price fixing, collusion, theft of trade secrets, Foreign Corrupt Practices Act violations, internal accounting insufficiencies, and insider trading. As lead discovery counsel, provided comprehensive advice and guidance about applicable discovery standards and investigation response strategies. In addition, assisted in identifying, analyzing, reviewing, and producing voluminous data sets to the SEC and DOJ in compliance with applicable standards. Further, actively assisted with depositions, motion practice and oral argument. Served as lead discovery counsel for an apparel manufacturer in arbitration and civil actions seeking to terminate a license, collect past royalties and defend claims for wrongful termination of a license. As lead discovery counsel, assisted the client in identifying, preserving, collecting, processing and producing voluminous electronically stored data sets (including unstructured and structured data sets) both domestically and internationally. In addition, provided comprehensive advice and guidance to the client about case strategy and applicable e-discovery, cross-border data transfer and data privacy standards. Further, managed multiple data review projects (including data review projects involving international PII and the use of advanced analytics). Served as lead discovery counsel for a national credit reporting agency in a putative Fair Credit Reporting Act class action lawsuit. As lead discovery counsel, led all data mapping and e-discovery efforts related to the identification, preservation, collection, processing and production of ESI from internal and cloud based data sources. In addition, implemented screening strategies designed to ensure that sensitive financial data sets were appropriately reviewed and produced in compliance with all applicable state and federal privacy standards. Served as lead discovery counsel for a global chemical manufacturer in U.S. and international insurance coverage disputes related to a chemical plant interruption. As lead discovery counsel, assisted the manufacturer in identifying, preserving, collecting, processing, and producing voluminous electronically stored data sets (including both unstructured and structured data sets) from jurisdictions throughout the world, including the U.S., EU, and China. Provided advice and guidance to the manufacturer about applicable cross-border data transfer and data privacy standards. In addition, conducted all factual discovery in the U.S., EU and China. Currently serving as lead discovery counsel for a global action camera manufacturer in a complex design patent infringement matter related to a leading action camera. As lead discovery counsel, assisted the manufacturer in identifying, preserving, collecting, processing and producing voluminous electronically stored data sets (including both unstructured and structured data sets) from jurisdictions throughout the world, including the EU. In addition, provided advice and guidance to the manufacturer about applicable cross-border data transfer and data privacy standards. Further, managed and staffed multiple document review projects. Currently serving as lead discovery counsel for a bankruptcy trustee in a complex multi-million dollar director and officer bankruptcy litigation matter involving a failed bank holding company. As lead discovery counsel, provided comprehensive advice and guidance to the client about applicable discovery standards and case strategy. In addition, assisted the client in identifying, analyzing, reviewing and producing voluminous email data sets (including email contained on backup tapes) and structured data sources. Further, actively assisted the client with discovery related motion practice, discovery related oral arguments and factual investigations. Finally, assisted opposing counsel in utilizing predictive coding technology and e-discovery analytics in order to review millions of documents in a time and cost-efficient manner. Served as lead discovery counsel for a national franchisor in a complex wage and hour class action matter. As lead discovery counsel, successfully assisted the franchisor in identifying and implementing an innovative technological solution that allowed for the efficient recovery of unstructured data from disaster recovery backup tapes, thereby saving the franchisor significant expense and allowing them to respond to pending discovery requests in a timely manner. Also led all efforts to identify, preserve, collect, process and produce voluminous unstructured and structured electronically stored data sets. In addition, actively assisted the franchisor with discovery related motions (e.g., motions for cost shifting), oral arguments and depositions. Currently serving as lead discovery counsel for a global financial services company in responding to a data breach. As lead discovery counsel, provided comprehensive advice and guidance to the client regarding strategy for compliance with applicable regulations. Over a period of weeks, organized and trained a team of 60 contract attorneys stationed on-site at the firm’s Review Center in Winston-Salem. Completed the review of approximately 1 TB of data representing more than 500,000 documents, including extensive redactions, in 45 days. Served as lead discovery counsel for energy pipeline system in a FERC investigation regarding highly complex tariff issues. As lead discovery counsel, provided comprehensive advice and guidance to the client regarding strategy for compliance with applicable regulations and discovery orders. Successfully processed 550 GBs of data representing more than 2.6 million records. With the use of advanced analytics tools, narrowed data set needing review to 42,000 documents, saving the client over $200,000 in review costs. Completed review of approximately 42,000 records and prepared for production in 25 days. In case for one of the world’s largest staffing agencies involving dozens of subsidiaries, advised client regarding potential difficulties associated with restoring backup tapes and developed strategy to minimize efforts and costs. Rather than restore several thousand daily backups in a fishing expedition, worked with client’s internal IT team to restore only the backup tapes that were most likely to contain relevant evidence based on initial review of a test case scenario, saving the clients several hundred thousand dollars in restoration costs alone. Further, organized, trained and supervised 25+ contract attorneys to complete review of more than 500,000 documents at the Firm’s onsite Review Center by the court-imposed deadline. Served as lead discovery counsel for one of the nation's largest health care insurance providers in antitrust class action lawsuit. Assembled and trained 30+ contract reviewers and, over 2 month period, reviewed more than 250,000 documents, many of which contained sensitive personal information, requiring extensive redactions. Review included approximately 50,000 documents subject to complex privilege issues, requiring redactions and the creation of a detailed privilege log containing more than 9,000 documents.